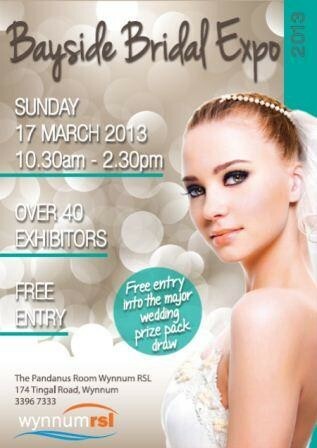 Brides to be will flock to Wynnum RSL in March for the Bayside Bridal Expo. Join us for a day of all things wedding, with over 40 vendors and great prizes to be won. Whether you’re planning a wedding or just dreaming of one, the Bayside Bridal Expo is the place to be. Join us on Sunday March 17. The fun starts at 10:30am. Phone 3396 7333 for more information.